Hasn't she got a voice on her or what?! And isn't she beautiful?! Newcomer female vocalist Caitlyn Scarlett hit the scene hard with a big, bad, dose of bass in her debut single ‘Bad Love’, which has amassed 100,00 plays to date. Premiered exclusively via Hunger Magazine, ‘Jurassic Jukebox & Other Drugs’ is the debut EP from Caitlyn Scarlett and sees the young rising star expose her inner rock chick, as well as bringing us some more bass-led tracks, which her frankly outstanding vocal range perfectly complements. 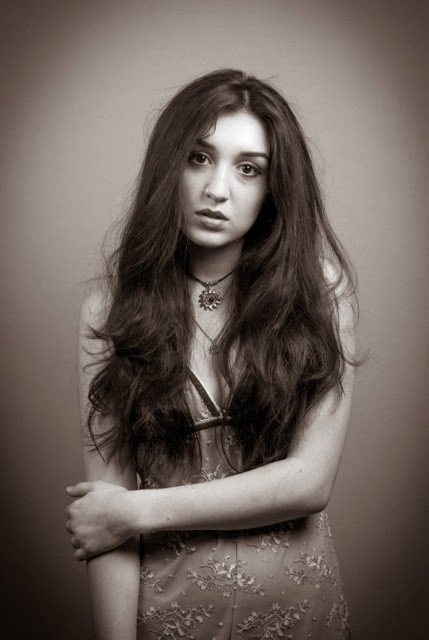 Currently working with Ayo Beatz in the studio, Caitlyn Scarlett's incredible voice is one to be unmissed and instantly brings chills down to ones spine on the opening of her debut ‘Jurassic Jukebox & Other Drugs’ EP with ‘Bad Love’, as well as with five other songs including ‘Night Never Lies’, ‘If You Go’, ‘Mary Jane’, ‘Sunset Cigarette’ and ‘Inside My Head’. Part of the new teen movement Space Age Crew along with Little Simz, are an unstoppable crew of extreme musical talent. Follow Caitlyn Scarlett's musical journey via Twitter, Facebook and Soundcloud. I have a feeling that we'll be hearing a lot more of Caitlyn Scarlett this year, she's already becoming a favourite in my playlist with this new EP!